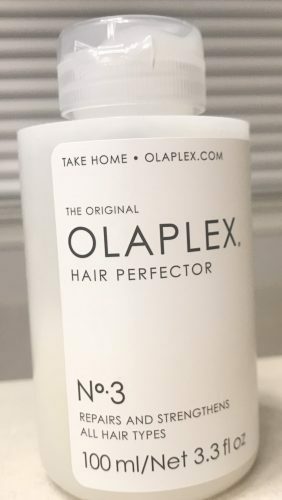 You may or may not have heard of Olaplex before, but you really need to hear about this miracle product. It’s completely unlike any other product on the market and will work wonders for damaged hair. Instead of just conditioning the hair, it actually repairs the broken protein bonds that have been destroyed by time and chemical processes. I’ve been using it for a few months and have noticed a considerable difference… a few of my coworkers even mentioned that my hair looks better since I started using it (and I have the worst hair ever). 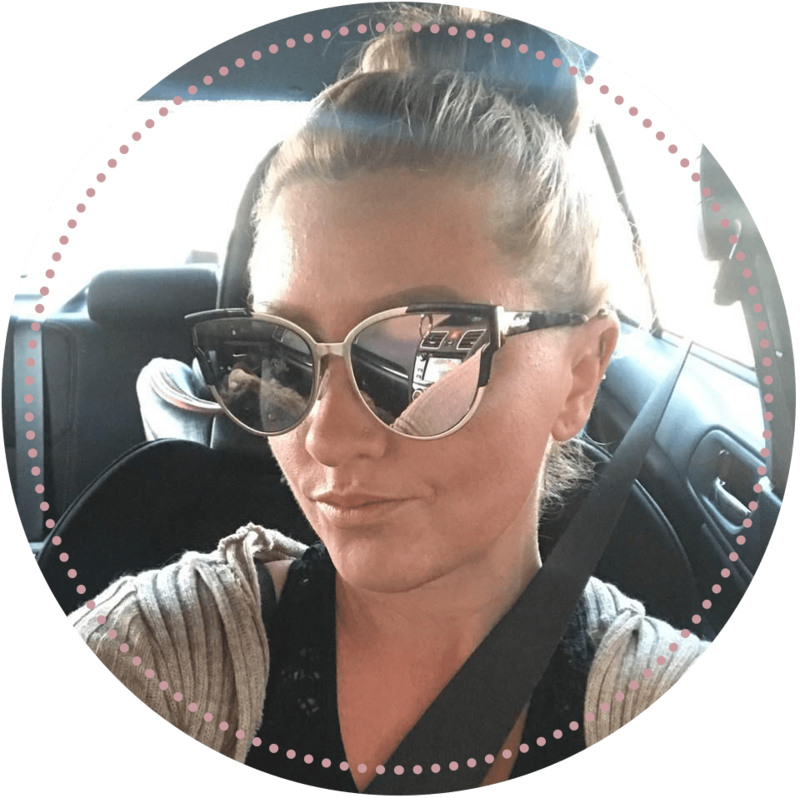 I want to take this opportunity to tell you what Olaplex is, how to use it and why you need to try Olaplex… like, yesterday. 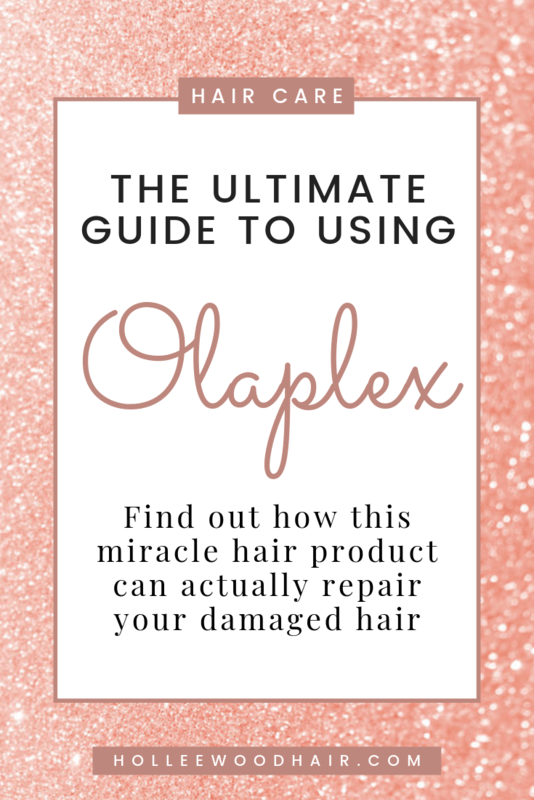 Olaplex is a 3-step system that repairs the hair. It is the only salon system in existence that can actually repair and rebuild broken hair bonds. The first step of Olaplex can only be done by a professional. The stylist will mix this product in with the lightener, color or whatever chemical treatment you are having done. In the meantime, it starts to rebuild broken disulfide bonds and begins the process of preventing damage and repairing hair. This step can also only be done by a professional. They will use this step after rinsing the color/lightener from the hair. It continues to rebuild any remaining broken bonds. This is the product you can and should purchase and try. Not only will it continue to repair your hair, but will also protect it from further damage. Use weekly for the best results. 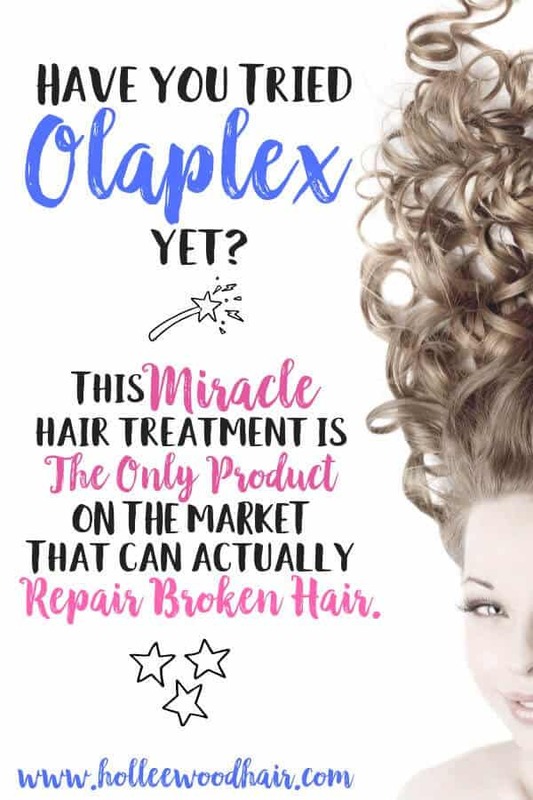 Olaplex was created by a couple of chemists that had no experience in the hair industry, which gave them an advantage and a different viewpoint. A top stylist brought them some problems that he wanted to solve, and they figured out how to fix it with chemistry. Hair is a naturally-occurring polymer, made of amino acid repeat units. As your hair becomes damaged, some of the repeat units (especially the disulfide bonds), go through “cleavage,” which is a fancy way of saying that the proteins are broken down. This leads to weaker hair that is more susceptible to breakage. Dr. Eric Pressly and Dr. Craig Hawker looked into the molecular level of hair damage, which led them to develop a chemical to repair the bonds. They don’t disclose the actual solution, as this product is unlike anything else on the market, and I’m sure they want to keep it that way. If you want to hear more about hair science from these leading chemists, check out this video from the Olaplex official website. It’s pretty interesting. I previously mentioned that Step 1 and 2 can only be used by professionals, and discussed how they are used, so I am just going to focus on Step 3 here. You want to use Olaplex on dirty hair (before shampooing) since it is a bond builder and not a conditioner. I just wet my hair and then towel-dry it before applying Olaplex. Apply a generous amount and make sure you thoroughly saturate your hair from scalp to ends. I comb it through with a wide-tooth comb (be gentle and make sure not to rip through your hair). Leave it on for at least 10 minutes, but longer if desired. I usually leave it on while I do chores and clean my house. I’ve read that some people leave it on overnight, but I haven’t tried that yet. You should use Olaplex at least once per week, but if your hair is severely damaged, 2-3 times per week is more appropriate. Where Can I Buy Olaplex No. 3? If you go to a higher-end salon, I’m almost certain that you’d be able to purchase it from your hairstylist. However, if you want to start using it in just two days, you can get it on Amazon Prime right now for the same price! If you liked this post, you should check out How to Lighten Dark Hair to a Light Blonde Color or The Golden Rule of Hair Color. Will step 3 work if you have not had steps 1 and 2 done at the salon? I’ve been wanting to try Olaplex and am glad to hear that it works well. I haven’t used step 1 and 2 (although I think I’m going to try them) and it has made a noticeable difference in my hair. I totally recommend it!